Suwanee, Ga. (September 6, 2012) – Omix-ADA®, a leading manufacturer of high-quality Jeep®, truck and off-road parts and accessories announced today the availability of an expanded line of Rugged Ridge® All Terrain Floor Liners for Jeep, trucks andSUVs with all-new colors and applications. 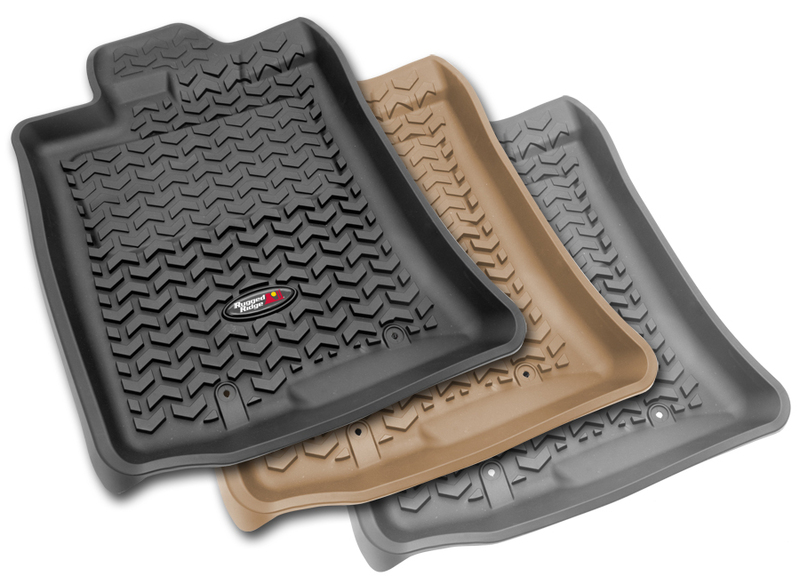 Available in black, gray and tan, Rugged Ridge Floor Liners complement the interior of more than 75 different vehicles from Jeep®, Chevrolet, GMC, Cadillac, Dodge, Ram, Ford, Lincoln, Nissan and Toyota. Each Floor Liner features “Deep Tread Technology” with 3/8-inch deep chevrons, nearly three times the depth of other floor liners, to channel debris and moisture. 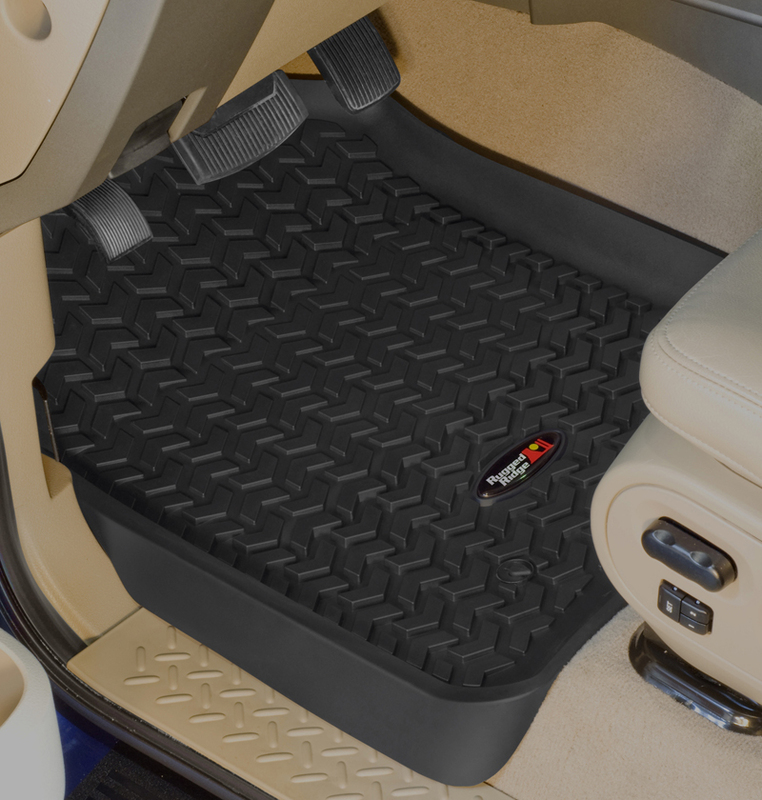 Rugged Ridge All Terrain Floor Liners are engineered to offer complete interior floor protection during everyday use. The Floor Liners were specifically developed with the hunter, fishermen, commercial truck owner and offroader in mind.